For the first seven years of owning my own home, I spent a lot of money on home decor products. I still kick myself for how much money I spent, because now most of the items have been given away due to being poorly made or not fitting into my style anymore. 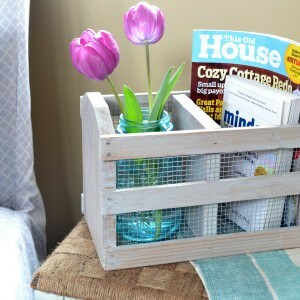 Once I bought myself a sewing machine and taught myself the basics of sewing (let’s be honest, YouTube taught me the basics), I now can make so many of my own home decor items. Pillow covers are by far one of my favorite items to sew because they can change the look of a room with minimal work and cost. 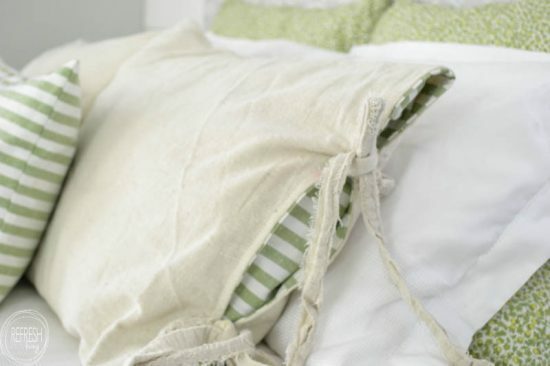 Seriously, even if you are new to sewing, you can sew a farmhouse pillow cover (or any type of pillow cover for that matter)! I used drop cloth for the outside of the pillow and vintage fabric from Golden Daffodils Etsy shop for the lining. 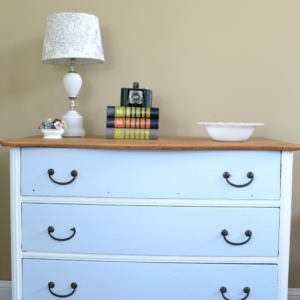 A few months back I updated our master bedroom for the One Room Challenge. 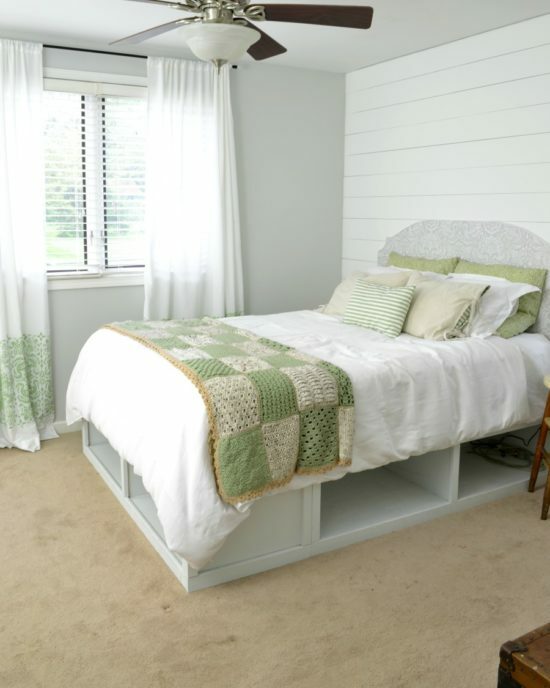 Basically, my goal was to add storage and a little bit of farmhouse style to our boring and decor-less bedroom. 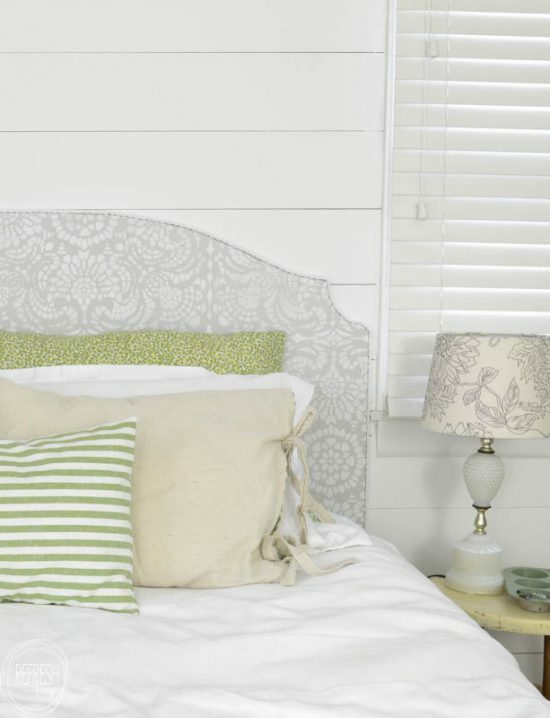 Although the change wasn’t drastic, I love our new bedroom, complete with a DIY storage bed, shiplap wall, DIY stenciled headboard, and plenty of vintage touches. 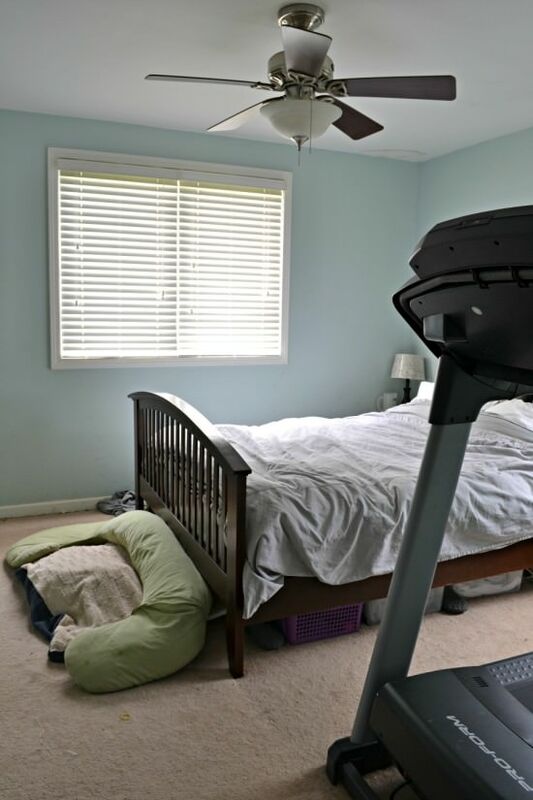 You can see the entire room transformation here. 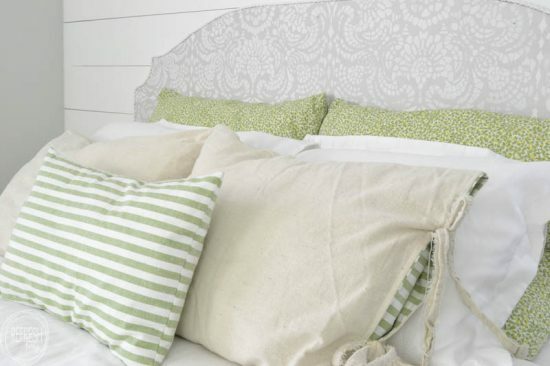 I knew I wanted to have ties on these pillow cases, because I love the farmhouse look they add. 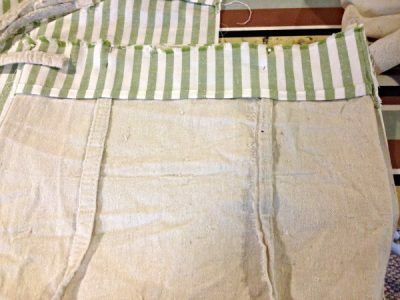 I found this great tutorial from On Sutton Place on how to make a pillow case with ties, but I really didn’t want to be able to see the pillow inside the cover, so I adapted it and created a lining that would fold over the pillow to cover it up. I love using vintage fabrics, but I’m going to be honest with you, I have a hard time finding it. I sometimes steal some up at estate sales, but I’ve never found a pattern that I love, love, love. Enter Etsy, and a shop that carries an amazing collection of vintage fabric! 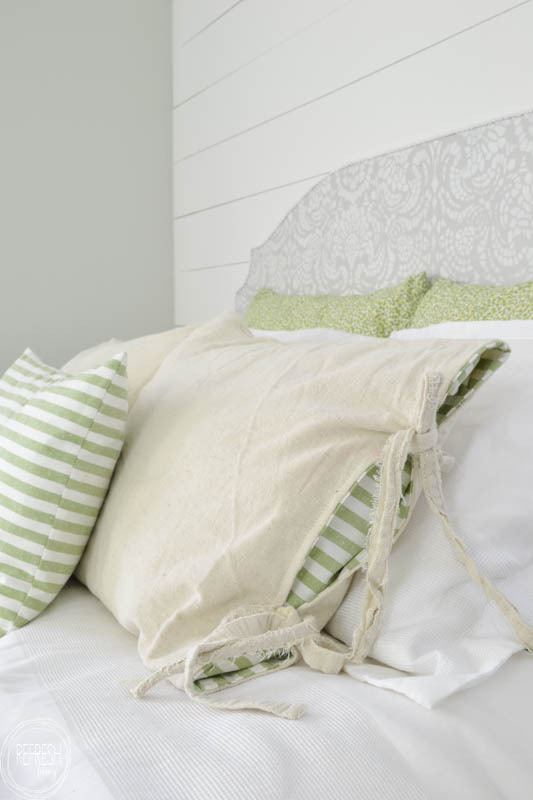 I finally ended up choosing a vintage green striped fabric for the inside of my pillows, and I just love how the pattern peeks through the open end of the pillowcase. 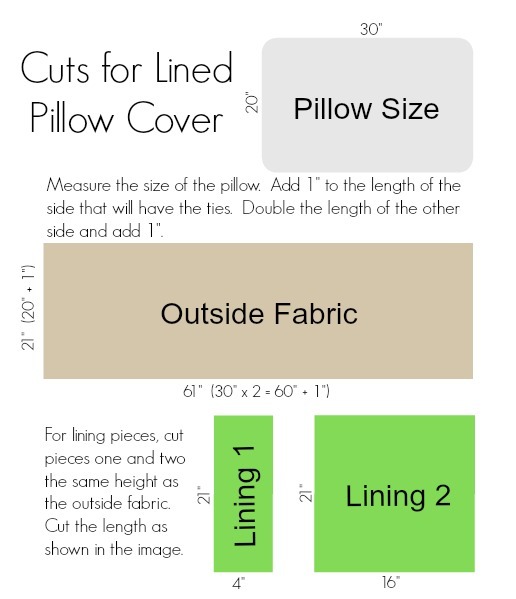 First, measure the pillow and cut fabrics as shown in the image above. 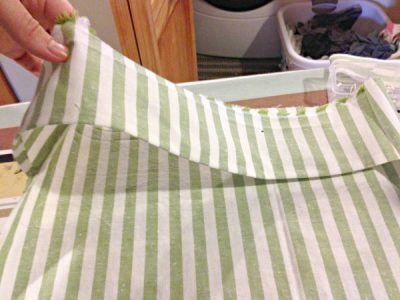 Fold the outside fabric in half, with right sides together. Pin and sew a 1/2″ seam along the two sides (the bottom will already be folded and the top will remain open). Turn right side out and set aside. 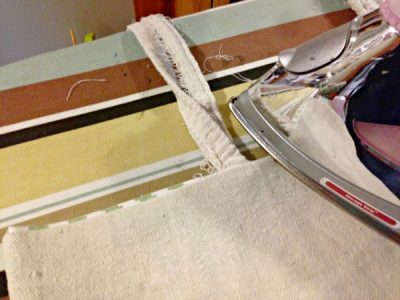 On both lining pieces, fold over the 21″ long edges and iron a 1/4″ seam, fold over again, and iron again. 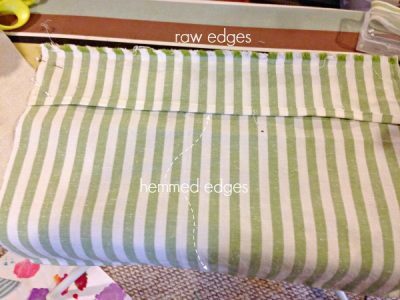 Sew along edge to create a hemmed edge. 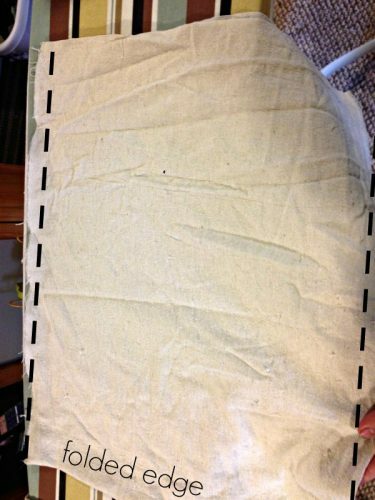 Pin the two lining pieces with right sides together, along the 4″ edge. (The raw edges will be matched up along the top, the hemmed edges will fall at different places along the bottom.) Sew together with a 1/4″ seam allowance on both sides. At this point, it will sewn together in a ring. Pin the ties into place between the outside and lining pieces of fabric. 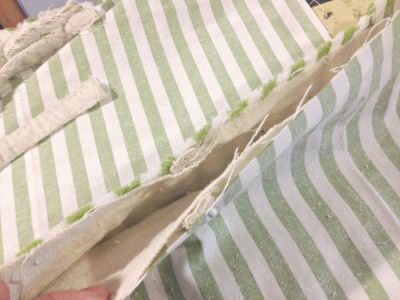 Sew along the top edge, through all of the layers, with a 1/2″ sew allowance. 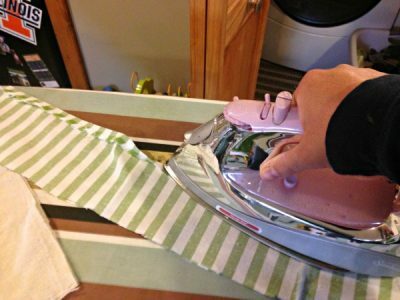 Invert the pillowcase and iron along the top to create a crisp edge where the two fabrics meet. 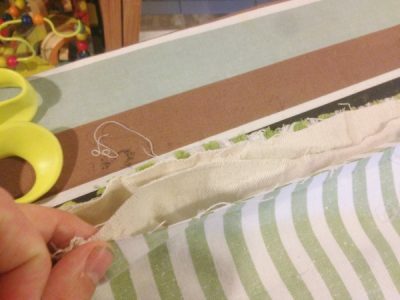 Optional – sew a seam along the top edge to hold everything in place and give it a finished edge. I absolutely love your pillow case! The fabric peaking through is my favorite. I need to make some for our bed. All I have right now on all my extra pillows are just the pillow cases that come with the sheets. These are seriously cute! I love the little bit of pattern that peaks through! Pinning! Thanks, Amanda! I think that’s my favorite part too. Love these so much!! Tweeted!